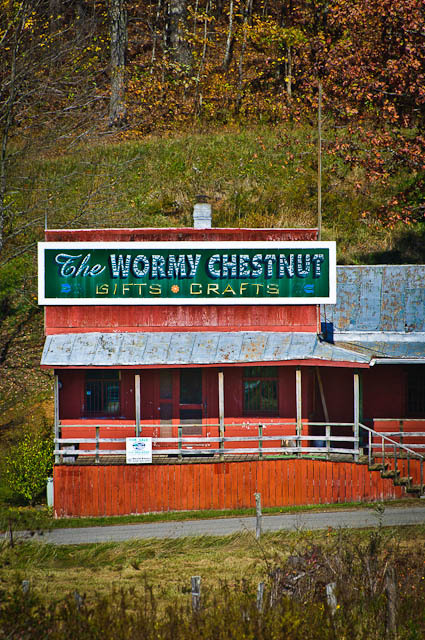 This is a nice name for a gift and craft shop…sad part is that it’s closed. Has been for years. It’s located in a remote part of the Blue Ridge mountains of Virginia, a location passed by all too often these days, as many people seem too hurried to enjoy things waiting for them in places such as this. Why travel the mandatory 45 mph on the Blue Ridge Parkway, when they can go 70mph on I81. Dumb logic in my view.